Sure, you could always get that dusty, old turntable out of the attic, hook it up to your entertainment system and run it through the line-in of your computer to rip those horrible Boston vinyl albums, but why complicate things? 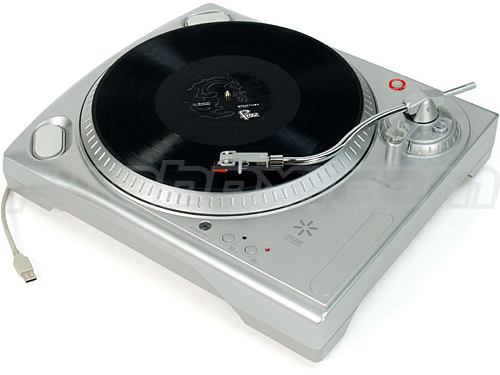 This belt-driven turntable plugs into the USB port of any computer. Fire up the included Audacity software and begin ripping those fabulous songs that you felt the need to listen to one last time. No matter how many times you listen to those vinyls, you will never be that 18 year old getting laid in the bathroom of your high school prom, so stop trying. It is available at Firebox for $225.